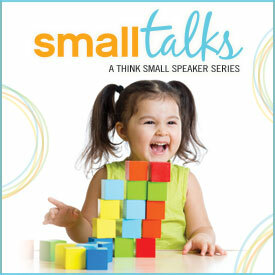 Register now for Small Talks | What’s Working: How Minnesota Communities are Rebuilding the Business of Child Care. Admission: FREE • Continental breakfast provided. Lynn Haglin serves as the Vice President and KIDS PLUS Director for the Northland Foundation in Duluth, Minnesota. Her experience includes over 30 years in administration, community development, and education, with an extensive background in early care and education, youth development, and intergenerational programs. In her current position, Lynn provides leadership for the Foundation’s KIDS PLUS Programs, including the Early Childhood Initiative, Parent Aware Pathways Initiative, and AGE to age: bringing generations together. Lynn has developed coalitions in 57 northeastern Minnesota communities focused on children, youth, and older adults. She has designed and implemented model programs focused on increasing access to quality early care and education settings, strengthening early childhood and early elementary connections (PreK-Grade 3), creating youth leadership, philanthropic and service learning opportunities; and developing intergenerational community efforts. Lynn is an active member of numerous boards and committees on the local, regional, and state levels. Cisa joined Think Small in 2015. Keller started her early childhood career as a toddler teacher before becoming a center director and finally being promoted to role of director of government and community relations with New Horizon Academy, where she oversaw the government and community relations efforts for over 60 child care programs in Minnesota. In this role Keller was also government relations chair for the Minnesota Child Care Association and public policy chair for the Minnesota Association for the Education of Young Children–Minnesota School Age Care Alliance. Keller was a founding member of the Minnesota’s Future Early Childhood Coalition, served on the executive committee of the MinneMinds campaign, and is currently a member of the Caring for Kids Initiative Advisory Group and the St. Paul Promise Neighborhood. Keller earned a master’s degree in early childhood education from Concordia University–St. Paul in 2008 and was invited to be an adjunct professor from 2009 until 2014 in the university’s BA and MA early childhood programs. Stephanie Thomas is the Vice President of Early Childhood Education and Girls and Youth at YWCA Minneapolis. She is responsible for leadership and strategy of all early childhood education sites, curriculum and workforce development program, along with all Girls and Youth sites and programming. Ms. Thomas joined YWCA Minneapolis in August 2017. She has 23 years of nonprofit experience as a senior leader, demonstrated capabilities in program development, team leadership, relationship development and strategic management. Ms. Thomas obtained a Bachelor of Science degree in Psychology from the University of Wisconsin – River Falls. Stephanie is an expert in early childhood education and school-age care and has been an advocate for early childhood and school-age care on a state and national level. She is a certified trainer for working with 0-5 year olds, 5-12 year olds, school-age child care and administration of early childhood and afterschool programs. In her previous position, Ms. Thomas was responsible for leading and developing one of the largest non-profit departments of early childhood and school-age care programs in the state, positively impacting thousands of youth and families each year. She has provided leadership for research, development and implementation of new childcare programs, practices and resources. Stephanie is a past board member of MnAEYC-MnSACA and is a member of the MnAEYC-MnSACA Policy and Advocacy Advisory Group, as well as the Northwest Hennepin Human Services Council Early Childhood Network. Stephanie, and her spouse Tim, enjoy spending time supporting their two children in a variety of academics, sports and other activities. They reside in Maple Grove. Tracy considers herself a placemaker, pedestrian, community member, cyclist, researcher, writer, strategist, and change agent. She came to placemaking from design and from commitment to public spaces and the people who use them. For 25 years, she created and maintained lush, texturally engaging and ecologically sound gardens for residential and corporate clients. Additionally, for 4 years, she served as an elected Commissioner on the Minneapolis Park and Recreation Board and has volunteered with several community non-profits, including currently as a board member at Think Small. Tracy holds a Master’s Degree in Public Affairs from the Humphrey School of Public Affairs, with a focus on leadership, policy, and advancing the common good. “When you choose Egan Company as your specialty contractor and system integrator, you’ll work with an experienced team committed to delivering your project safely, efficiently, and crafted to your needs. With over 1,100 employees and more than 10 specialty trades, Egan continues to earn recognition for delivering you a more integrated, efficient customer experience from start to finish. For over 70 years, we’ve been by your side, building on promises kept.” Click here to learn more.